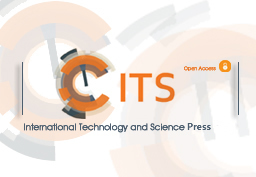 Advancements in Materials is an open access, peer-reviewed, and scholarly journal published bimonthly on ITS, which devotes to scientific investigations on some significant issues and conditions of materials development. ITS is committed to maintaining high standards through a rigorous peer-review together with strict ethical policies for authors. • Authors must certify that the article is original to authors and has not been published elsewhere, accepted for publication elsewhere, and is not pending acceptance or being considered for publication elsewhere. • Authors must certify that the article does not contain any infringements of professional ethical codes, such as plagiarism, bogus claims of authorship, fraudulent use of data on any copyright or other personal or property rights of any third parties. • Authors must certify that the article contains nothing scandalous, obscene, libelous, or otherwise contrary to law. • If authors have used the work and/or words of others, authors must ensure that the work and/or words of others are appropriately cited or quoted and identify all sources used in the creation of their manuscripts. • Peer reviewers should provide assistance to editors in making editorial decisions and, through editorial communications with authors, may assist authors in improving their manuscripts. • Reviewers should declare any potential conflicts of interest relating to a specific article or author. • Paper submitted should be objectively commented with clear expression and supporting arguments so that authors can use them to improve papers, and criticism of the individual is not appropriate. • The auditors shall notify the journal editors of any published or submitted content similar to the reviewed material, or any suspicious plagiarism. • Privileged information or ideas obtained through peer review must be kept confidential and not used for the reviewer’s personal advantage. This applies also to invited reviewers who decline the review invitation. • The editor should be responsible for all the content posted in his journal, including measures to assess the quality of the materials they receive for the journal and to express the need for correction and clarification when needed. • Editors should evaluate articles based only on an objective determination, not on subjective determinations of 'impact', 'novelty' or 'interest'. And holding the attitude of discrimination on grounds of gender, ethnicity, sexual orientation, or religious or political beliefs is not allowed. • The decision editors make related to the submissions should be only based on academic merits, but not be affected by the ones of commercial.